Olé! Put on your sombrero, shake your maracas and get ready to win big! Join the Spiñata Grande Fiesta today! All you have to do is spin to win! 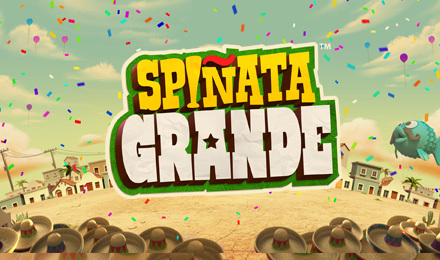 The Spiñata Grande video slot game has 5 reels and 40 paylines, which means there are loads of chances to win! Look out for the Colossal Wild, which will appear during your FREE spins bonus round, because it will assist you in completing numerous winning lines! Good luck!